I am not sure how these delightful ornaments were originally used because I did not see the original garment. They would be fabulous as neckline closures or as hip band decorations. You could think of many more ways to use them. 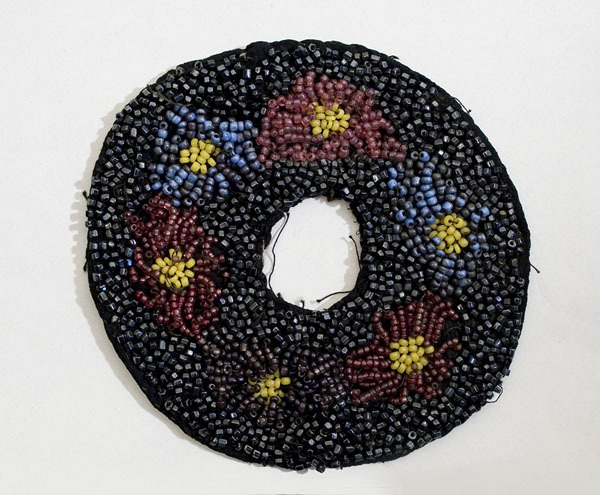 The "doughnuts" are covered with flowers of sparkling glass beads on a black bead ground. 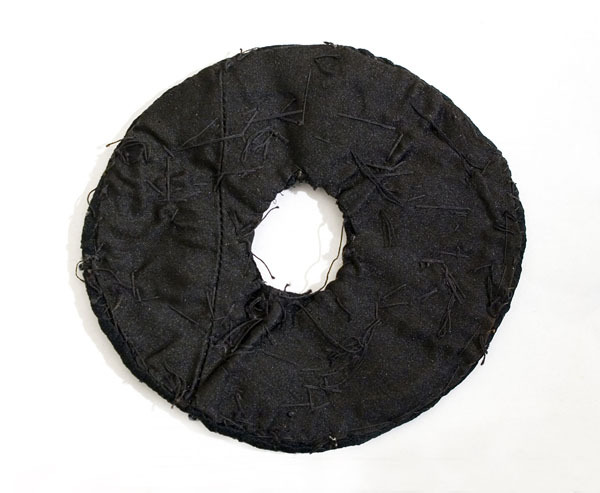 The doughnuts are backed with black taffeta. The condition is almost excellent. 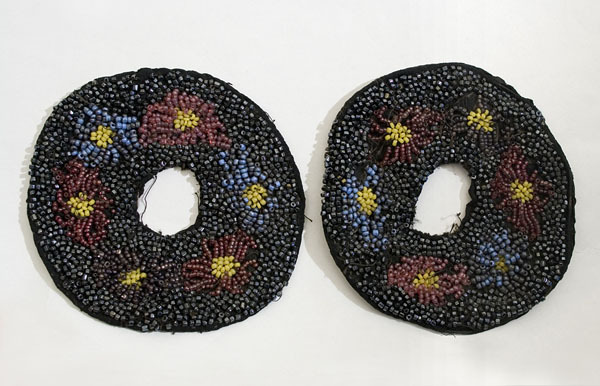 A small number of beads, which fell off, will be included. It will not take you long to sew them back on. Each doughnut is 4" across.